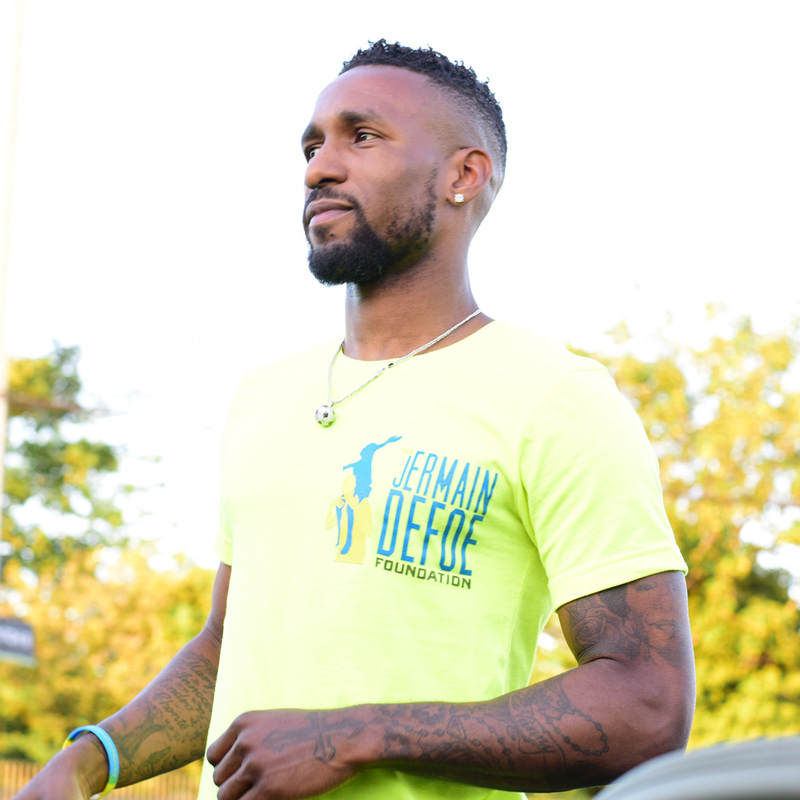 It has been a very busy and exciting month at Jermain Defoe Foundation HQ! We kicked the month off in style, hosting our 3rd annual JDF Cup Football Tournament. Jermain recapped the day summarising “Last year was good and to be honest, I didn’t think we could top that but this year was unbelievable”. It proved to be a fantastic day out! 42 teams entered the tournament with entries coming in from all around Essex, London, Kent and Hertfordshire. The event raised £9042.41 for the Foundation. The money raised from the tournament will go towards our projects that help underprivileged children and supporting Holy Family Children’s Home in St Lucia. We then headed up north to a brisk and chilly Sunderland for this year’s Siglion Sunderland City 10k and Half Marathon. 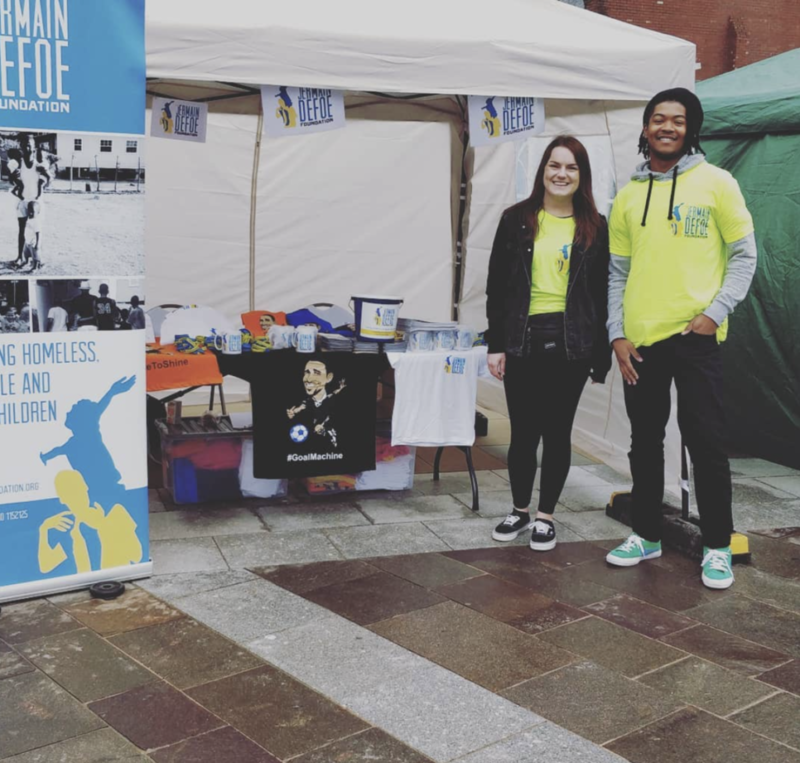 The cold, wet and windy air wouldn’t stop us though from setting up our stall and engaging with locals whilst supporting our fundraisers who were running for the charity. This proved to be a great opportunity for us to go and speak to the Sunderland locals where we had the chance to raise awareness for the Foundation. One spectator jokingly exclaimed ‘Could you ask Jermain if he could come back down here and play for us?’ … Unfortunately, we don’t decide such things but Jermain has very fond memories of his time with the Black Cats. However, it was great to be back up north in Sunderland and we enjoyed broadening our audience and raising as much awareness as possible. In addition, we finished off a very eventful month by launching this year’s Book Appeal 2018: In aid of helping rebuild schools in Dominica. This is a project that is very close to the heart of the Foundation; as we are a charity that primarily supports children in the Caribbean. The Foundation has been deeply saddened by the events last year where Hurricane Maria left Dominica devastated. The Hurricane left the island devastated. Missing roofs, broken windows, books and desks lie strewn all around school compounds. 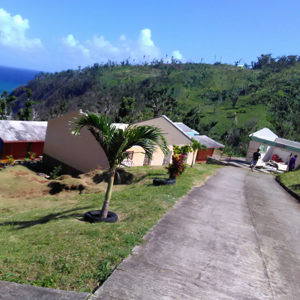 An estimated 90% of buildings on the islands were damaged or destroyed and the schools were not spared. We spoke to Ms Kathleen Lewis one of the teachers at Sineku Primary School in Dominica who told us “The library is a priority for us. We lost everything in the library. It would be great if the foundation can donate library shelves, books, cupboards, tables”. This was one of the main reasons we decided as a charity to launch this year’s Book Appeal where we encourage people across the UK to donate their unwanted books. If you would like to help support this cause please contact us at events@jermaindefoe.com or Call Us on 01708 511809. Here’s to an even better June and beyond!